“Hey you know what? At midnight, put two mirrors facing each other. 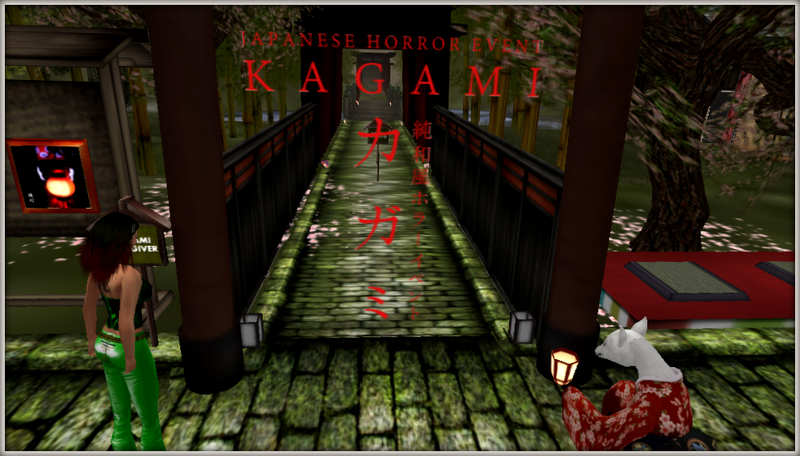 Kagami (literary meaning, the mirror in Japanese), is a Japanese horror mystery to find Kasumi, a fifteen year old girl, your friend who might have looked into the mirror and has disappeared. 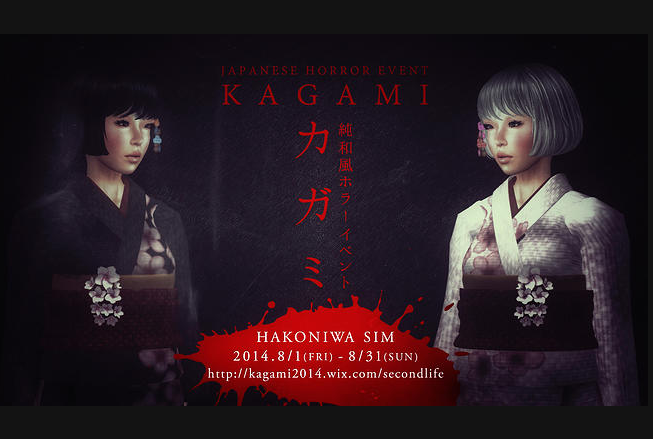 The event is at the Hakoniwa sim for a month, i.e., till 31st August, 2014. The story starts at the gates where one has to wear a HUD (given at the entrance). For best views and good rez quality, keep your scripts low as you will always find people trying the game out. The HUD tells the story and your course of action. It also teleports you from one scene to the other. The mystery may take a little time to finish each chapter but it is worth a try. Wearing the HUD at the Hakoniwa sim means you are in the game.At any point, however, if you want to pause and continue later, you can. 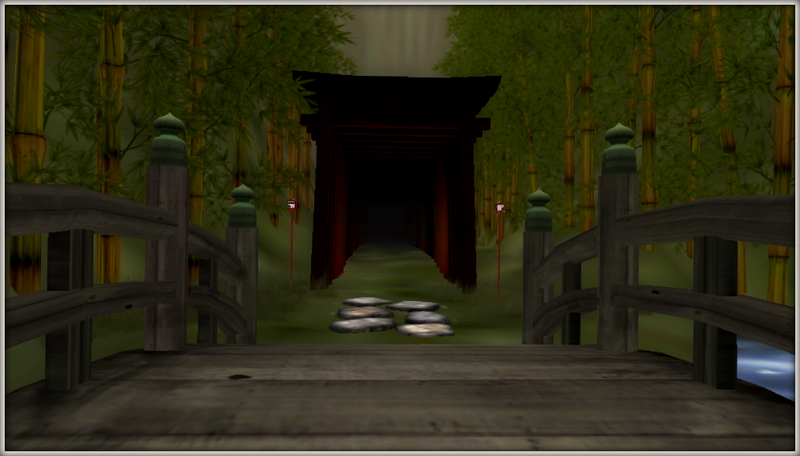 When you come back, you may wear the HUD and start at the entrance gate and walk forward. Remember not to click the reset button. One can play the game with a group of friends or alone. For example this bus takes you to the school, where the mystery begins. You may all board the bus together. The story is more fun when played with friends. Apart from the scenes created for the story line at the sim, it also has a mall with themed outfits and objects. If you enjoy the story, buy something to support such events of fun. You may also give your feedback at the official survey by Kagami, 2014. For more information visit Kagami, 2014, the official site.